The Boone County Buzz: Are you a gambler? I am! No, you won’t ever find me at the casino. I’m talking about gardening! I think most of us who garden have a touch of the gambler in us. How else can you explain the leap of faith we take every year when we put our seeds or baby transplants out in the wild world dreaming of luscious produce to come? Sometimes things go well and some not so well. That’s just part of life. Well, today I want to encourage the wildest gamblers out there to take a chance on REALLY early spring lettuce. You know how all the seed packages say to plant your lettuce from mid-March to mid-May? I think they’re missing the boat! I followed those recommendations for years and what always happened was that as my lettuce finally started to head up it became bitter! The bitterness used to start around mid-June but I’ve had it happen as early as mid-May when temperatures are unusually warm. As a crazed, baby lettuce aficionado this is most frustrating. Then about 15 years ago I was reading some book (?) where an old woman from the Ozarks said to put your lettuce seed out as soon as the snow melted. This seemed like insanity, but, again, I’ve got a gambling streak. I tried it. Yes, I ran out with a cloth sheet to protect it a few times. But I was eating beautiful baby lettuce salads by the end of March! Needless to say, I’ve been doing this ever since. When exactly do I take this risk? It varies with the weather and snow. Looking back in my garden diary (yes, you really should keep one) the first planting has been as early as January 5th but probably averages around January 25th. Have I lost my lettuce? 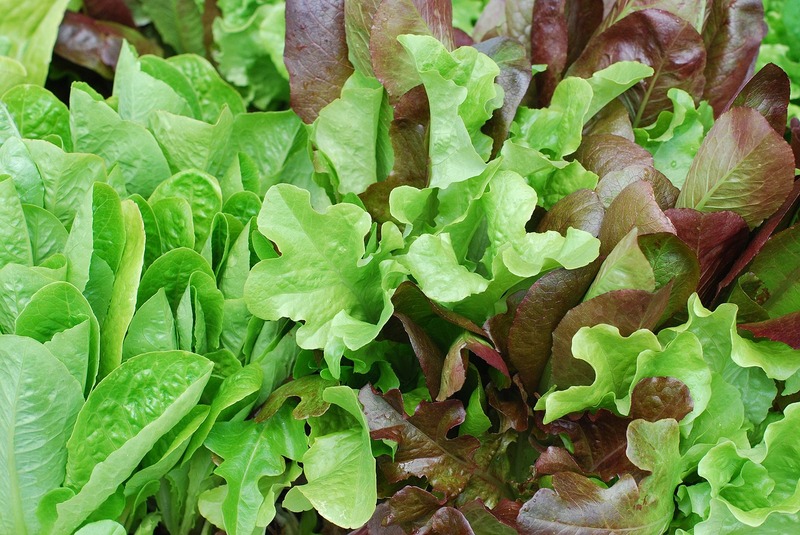 Maybe once, but most varieties of lettuce can survive temperatures as low as 20 degrees Fahrenheit. Since lettuce seed is somewhat viable for up to 6 years I usually use old seed from a previous year, so if it is lost I won’t feel quite as bad. Sometimes, when the cravings are severe I’ve been known to start lettuce seeds inside in January and plunk the plants out in early February. Again, it’s a gamble but what an incredible payoff if you succeed! Take a chance!